We are counted the most reputed firms engaged in manufacturing and supplying RCC and Precast Concrete Walls which is widely acknowledged for their surface richness and high durability. We also offer Installation Services at competitive prices. 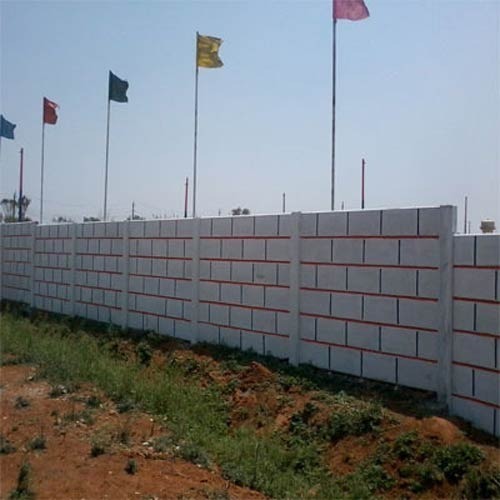 We are counted amongst the most reputed firms engaged in manufacturing and supplying Compound and Boundary Walls which is widely acknowledged for their surface richness and high durability. The range we offer includes RCC Compound Wall, RCC Precast Compound Wall and Prestressed Compound Wall. We also offer Installation Services at competitive prices.